Cannot boot Toshiba laptop from CD or USB drive? A couple of weeks ago some guys were sending me complaints on my Facebook page wall that they are trying to do a system wipe, that is, Install a new copy of windows on their Toshiba Laptop using either CD or USB but ere unable to enter the boot menu. I had a new Toshiba Satellite Laptop trying to figure out the problem and couldn't get the boot menu either. I tried the various keys F2/F12/F10 and the ESC button but to no avail. Here is a way to solve that problem once and for all. The real issue is that for all Toshiba product running on Windows 8 or later are likely to face this boot issue when trying to do a system wipe. Here, what we are going to do is disable quick boot option in theses windows versions. then we can flawlessly enter the boot menu. 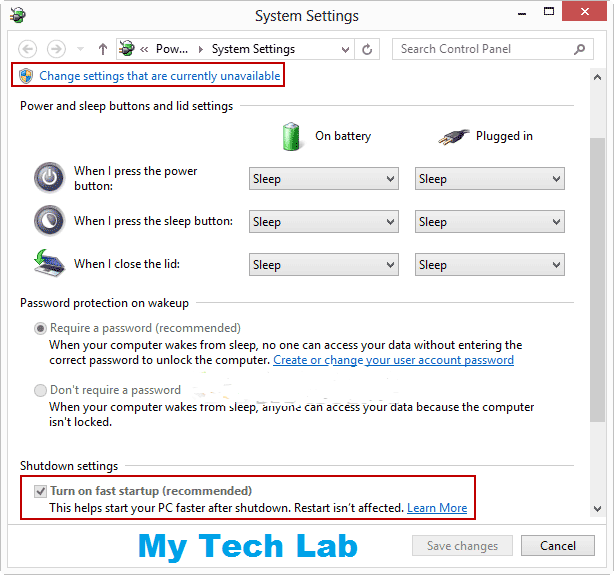 Since manufacturers are always finding a way to improve on user experience on their products Microsoft introduce this quick boot as a default settings in Windows 8, Windows 8.1 and the Latest Windows 10 to reduce the boot load timing and by so doing get your system to start as fast as possible. 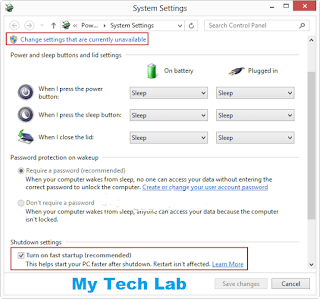 According to a survey done by Microsoft, a lager number of users do not use the hibernation/sleep button in windows rather they prefer shutting the system down completely. For a couple of reasons reported to be because users, wanted to save money on electricity bills, some with a reason as they prefer a fresh system startup to waking from sleep to reduce RAM load. So Microsoft introduced this Quick boot to blend the traditional startup with Hibernation. With the Fast boot mode part of the service is read from a Hibernation file instead of loading drivers and system services from scratch. Flaws of the Fast Boot. Now in the Power Options menu Choose "What the Power Button Does"
In the next window find the option "Shutdown Settings" and untick the check box to it. "Turn on Fast Startup (recommended)"
Now if the you are not allowed to make the changes,Just Click on "Change settings that are currently unavailable". Make the changes as stated and save before exit for the changes you made to take effect. Now just reboot your machine and try pressing the F12 key repeatedly to access the boot menu.